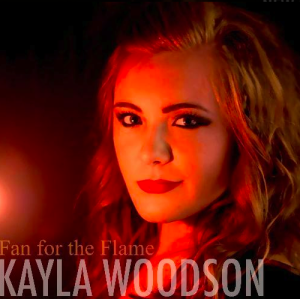 Today we’re checking out the new song from Kayla Woodson. This is my first introduction to Kayla and her music. I get excited about new country artists. We live in such an interesting time where new artists can get exposure in so many ways. So let’s see what Kayla has with this new single. I don’t know if it’s her first one, but it looks like her first on Spotify. There is some real attitude with this song. I like it. It reminds me a little bit of Kerosene by Miranda Lambert. That song had attitude and had that element of a chip on the shoulder and that’s what I’m getting from this song. Except you get even more attitude with the guitars in the mix. It’s pretty in-your-face for a country song, but I like it. I think it’s about a girl that’s been scorned by her man. He’s been stepping out and doing some other things it sounds like and this time the girl is not taking it anymore. I think we can all be loyal to a fault at times. We want to believe the best in people, but when enough is enough you have to let the hammer down. And that’s the emotion coming out in this song. The vocals are good on this song too. And the melody is catchy. It’s definitely a different kind of country song both in style, but I think country fans will like it. Let me know your thoughts. I’m curious to hear what you think.